Hello dear friends. 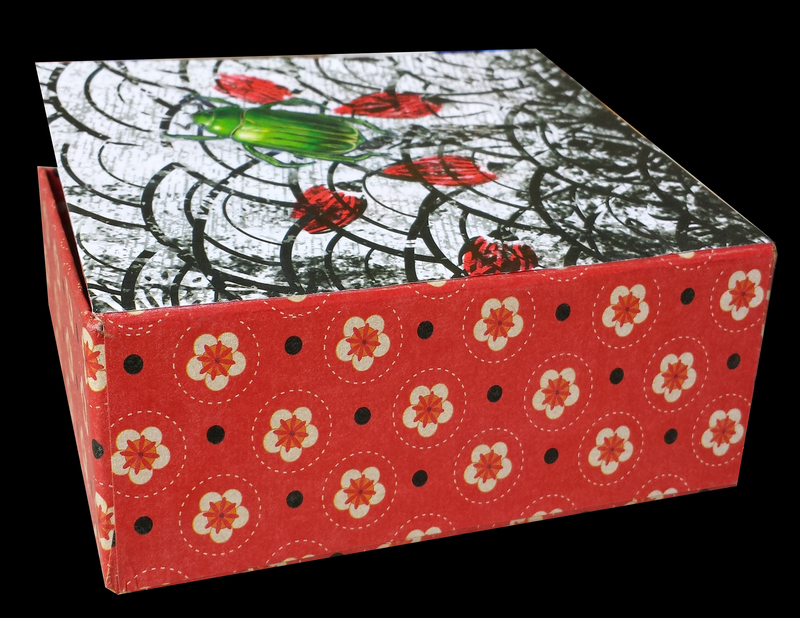 Here is a new box for you to feast your eyes on. I love bugs. I think they are luscious and beautiful, don’t get me wrong, I am not interested in hanging out with them unless they end up in my work, but I do think they are gorgeous. 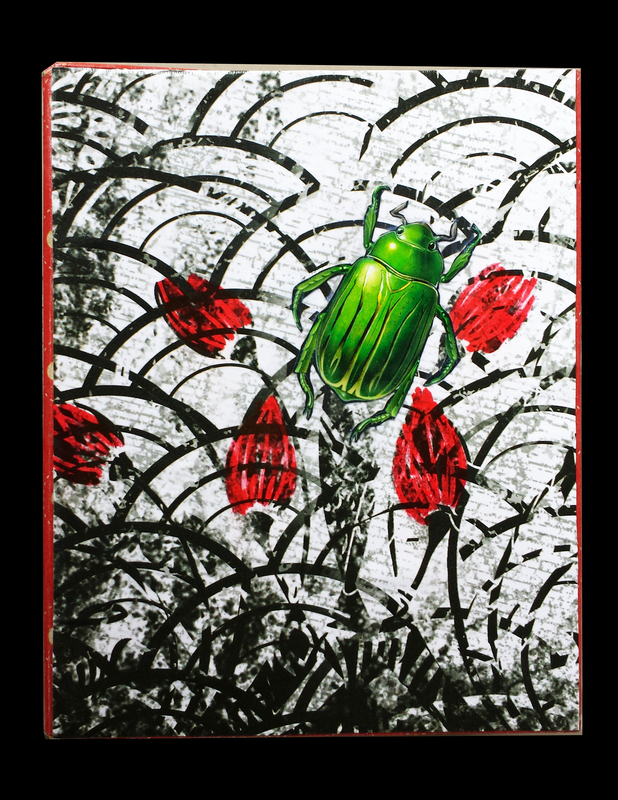 Insects are a recurring theme in my work going back ten years. There will be more. 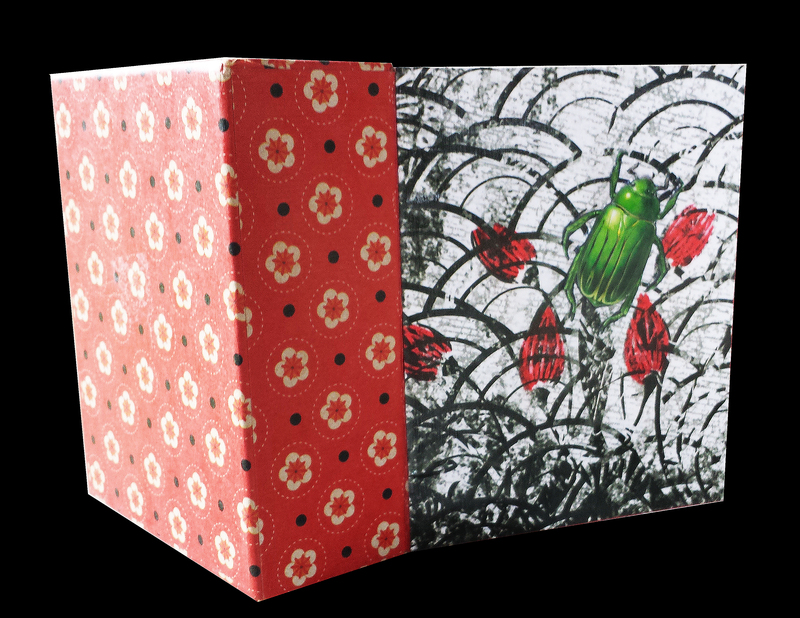 I keep finding great boxes that need to be morphed into something more my style, so I am just going with it right now. I am also in search of production pieces, objects that can be made one after another in a similar way that people will enjoy as utilitarian works of art. I want to fully support myself making art. I find interesting boxes in thrift stores and turn them into swans. 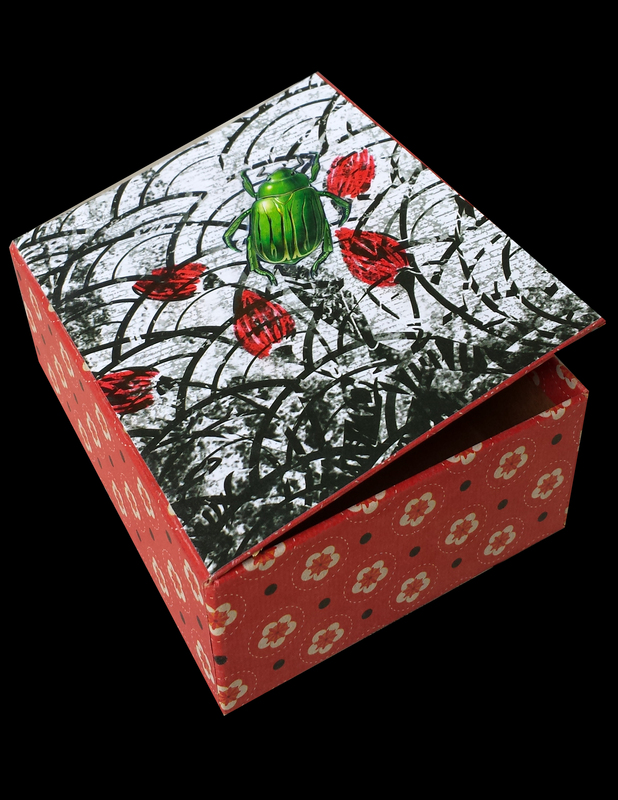 I have also been known to purchase things simply because I like the box it is packaged in, but shhhhhhh, don’t tell anyone. Since I skipped last week I am going to post again before the weekend. Stand by for more good stuff.